It was a crazy opening day for the Miami Dolphins, as seemingly unnecessary lighting delays created the LONGEST GAME in NFL History, because nothing ever goes normally for the Dolphins! So it makes perfect sense that this week's new 4th and Inches should be crazy as well. We let this one fly all the way off the rails with a little help from recently indentured FinsLook,com variety writer, 'RDubbles'. 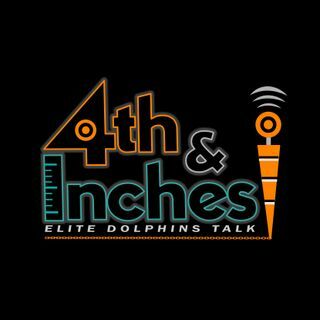 This show was recorded during the rain delay prior to the second half being ... See More played, so topics covered included reactions to the 1st half, the formation of the Dolphins Twitter Coalition (DTC), as well as the usual inappropriate bathroom etiquette discussion and more.